Norman Casse, chief assistant and son to trainer Mark Casse, can’t help but dream about Kentucky Derby 142 after two big wins on Saturday’s “Stars of Tomorrow II” card at Churchill Downs with John C. Oxley’s Airoforce in the Kentucky Jockey Club (GII) and Conquest Stables’ Conquest Big E in a first-level allowance optional claiming event. Casse realizes the importance of keeping Derby hopefuls sound during this stage of the game and feels optimistic that his two winners won’t have any issues. Casse reflected on some of his better 2-year-olds in recent previous years. This summer, Casse sent a string of horses to Saratoga for their annual summer meet but Airoforce stayed at Churchill Downs. While Conquest Big E and Airoforce appear to be the front running 2-year-olds in the barn, Team Casse has other 2-year-olds that they look forward to racing in the future. Both Airoforce and Conquest Big E are scheduled to leave for Palm Meadows on Tuesday along with the rest of the Casse barn. 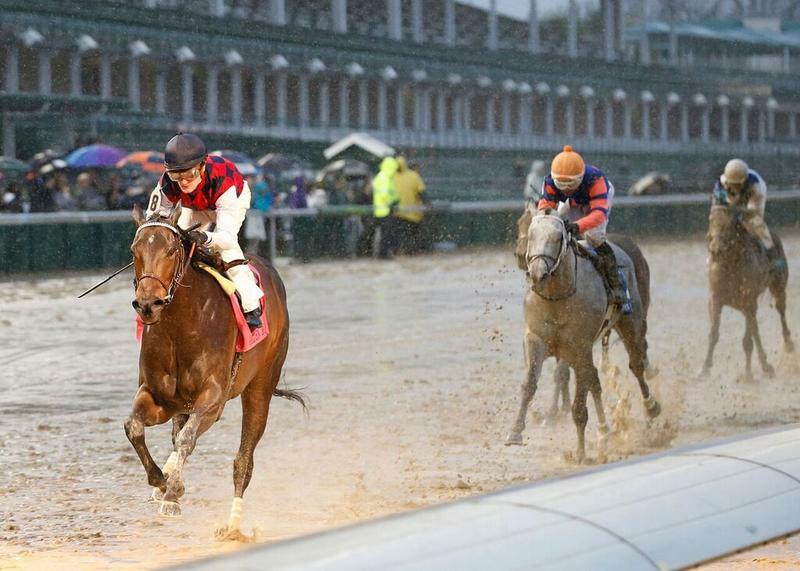 MCCARTHY BELIEVES FRONT-RUNNING CARINA MIA CAN RATE – Trainer Bill Mott’s assistant Kenny McCarthy believes that Golden Rod (GII) winner Carina Mia, who has gone straight to the lead in all three career starts, has the ability to sit off the pace in future starts. 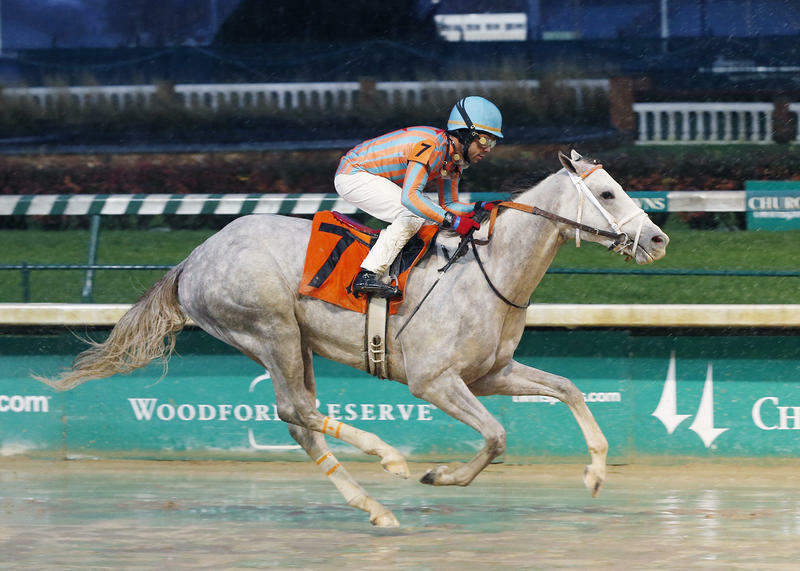 The daughter of Malibu Moon earned 10 qualifying points on the Road to the Kentucky Oaks following Saturday’s victory. 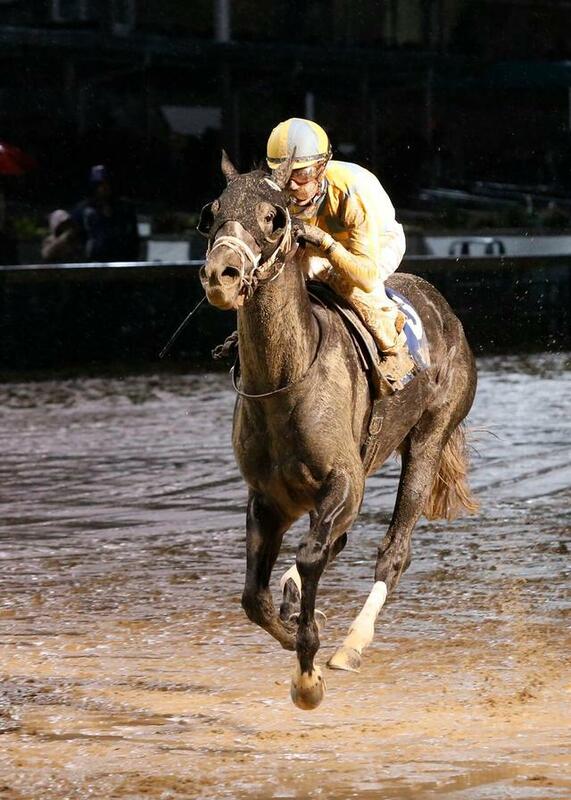 LUKAS HAS HIGH HOPES FOR RECENT MAIDEN VICTOR GRAY SKY – Hall of Fame trainer D. Wayne Lukas believes that 2-year-old Gray Sky, who broke his maiden in Saturday’s 12th race on the fifth attempt, will get better as he matures. Although the son of Tapit shortened back to one turn having run around two turns in his two prior starts, Lukas has faith that he will be able to route. WALSH BULLISH ON 2-YEAR-OLD FILLY – Trainer Brendan Walsh thinks Jamm Ltd.’s 2-year-old filly Smart Shopping, who won her debut Saturday while clocking seven furlongs in 1:25.08 under jockey Robby Albarado, has a bright future. 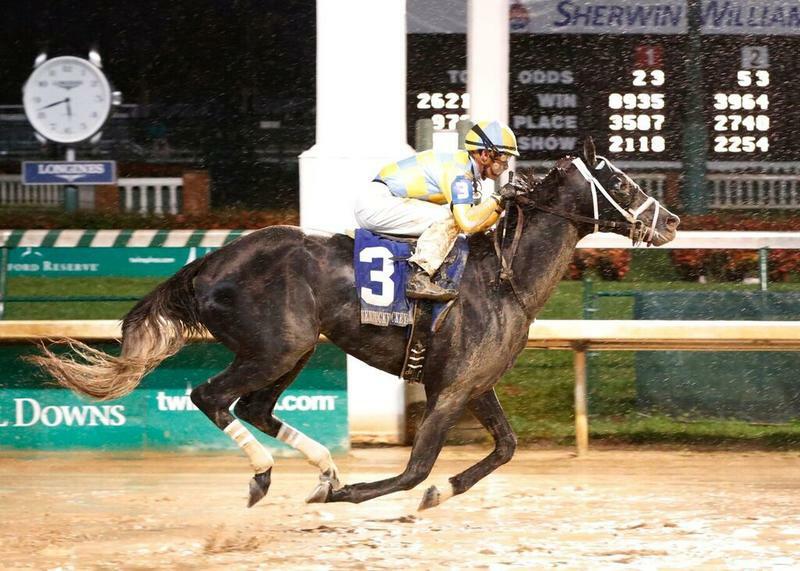 LANERIE WINS 10TH CHURCHILL DOWNS RIDING TITLE – Jockey Corey Lanerie will win his 10th riding title at Churchill Downs when the 21-day Fall Meet wraps on Sunday. This will mark Lanerie’s 10th title in the last 11 meets at Churchill Downs, including eight in a row. Only Hall of Fame jockeys Pat Day (34) and Don Brumfield (12) have won more crowns beneath the Twin Spires. “It makes me think I should do well,” Lanerie said. “If I don’t do well I’d be disappointed because I feel like I have to do well to stay at the top. It’s hard to get there and it’s hard to stay at the top once we get there, so we just keep working hard and keep trying. With more than $8.1 million in earnings this year, 2015 has been Lanerie’s best in 25 years in the saddle. In addition to winning all three riding titles at Churchill Downs, the 41-year-old also added two Grade I victories to his résumé with W.D. Cubbedge’s Molly Morgan in the La Troienne on the Kentucky Oaks undercard and with Brody’s Cause in the Breeders’ Futurity at Keeneland. He also won the fall riding title at Keeneland. Corey Lanerie began Sunday with 30 wins at the meet, 12 more than Robby Albarado and Ricardo Santana, Jr. While Lanerie has sealed up the riding title, the trainer title is still up in the air between trainers Steve Asmussen (11 wins), Chris Richard (10) and Mike Maker (9). Asmussen has three entered on Sunday afternoon’s card with Royal Obsession (Race 8), California Coast (Race 9) and Wrath of Ruthie (Race 10). Richard also has three entered Sunday with Self Starter (Race 9), Scadaddle (Race 10) and Allstar (Race 12). Maker has the chance of tying with two entries of Old Mountain Lane (Race 7) and La Macchina (Race 9). Ken and Sarah Ramsey have clinched their record-extending 25th owner’s title at Churchill Downs. They began the day with nine wins.